Gone are the days when tooth trauma and cavities could only be treated with unsightly metal fillings. The new way is Dental Bonding. Today, modern, tooth-colored fillings made of durable resin can be bonded to your teeth for a stronger, more natural-looking effect. Composite fillings are virtually undetectable and require only a single appointment to apply. 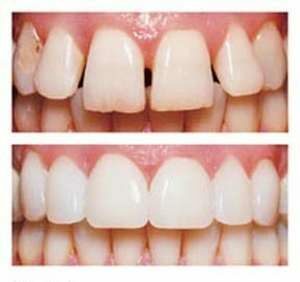 It has been considered as one easy way to close the gap between teeth. Other alternatives to Bonded Fillings include Porcelain Veneer or lamination. The complete procedure requires around 30-60 minutes to completion. Compared to other procedures, this procedure of Gap filling and bonded filling takes quite less time. The Dental bonded filling can also be considered for teeth molding if required. In other words, the dental binding can make the teeth look longer or change the shape as per the requirements. Now, you can book an easy appointment with us and get a suitable treatment for your teeth gap problem. Book an appointment for a free consultation today .